The Glasshouse, Parkview Estate, 161 Old Ford Road, London E2 9QB, Tel. Hall: 0203 754 0185. The Glasshouse is managed by Tower Hamlets Homes. For time-table events click here. Any Parkview resident who wishes to conduct a community activity at the Glasshouse that is non-profit and of benefit to local residents can apply to use the Glasshouse facility free of charge. Needless to say all activities need to be strictly within the framework of current laws. Write to the Secretary to apply. The Parkview TRA has been in occupation of the Glasshouse since at least 1993. The Glasshouse is a bespoke design community centre constructed in the mid 50’s, towards the end of the period in which the entire estate was built. The estate lies within the Victoria Park Conservation area. The Glasshouse is constructed of concrete with brick in-fill; ithas a highly original cantilevered frame construction, with glass window elevations to the entire elevated first floor levels, contained by metal framed windows and a continuous roof structure formed by three undulating curves, which are reminiscent of the concrete shell roofs used during the Second World War to cover aircraft hangars. 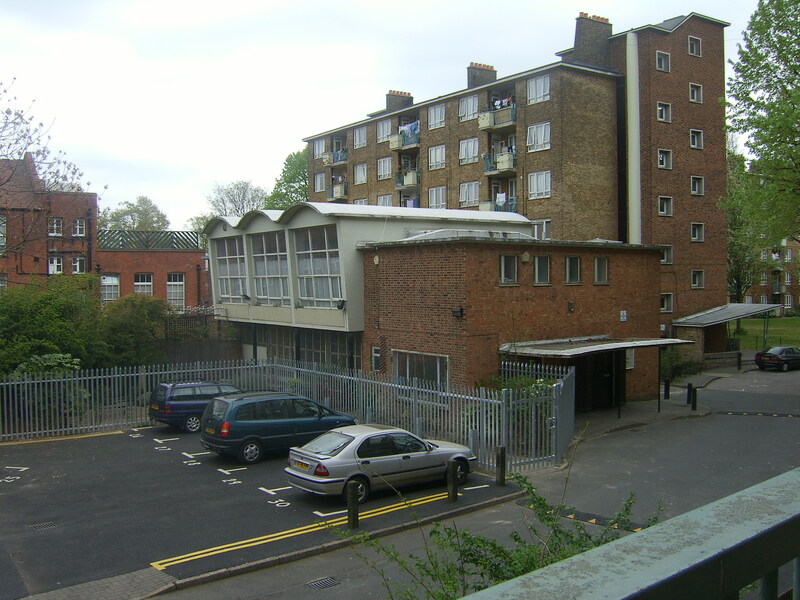 The Parkview Estate was constructed between 1950 and 1955 by the LCC, London County Council. It was designed by Debmetz & Birks, using a Swedish model as their inspiration. The estate is mentioned in Nicholas Pevsner’s “Pevsner Guide London S/East”, indicating that the estate is seen as a significant mid-twentieth century architectural design. The design guide also makes mention of the Glasshouse – it stakes that “within the estate there is a splendid community centre”. Would like to inquire about hiring out the glasshouse hall for a birthday party. Would mainly like to know how much and how long I would be able to hire the hall for, it will be on a Saturday. Stacey, thanks for the enquiry, please contact the Glasshouse directly, either by going there or using the numbers displayed on this page. I am very sorry Keighley but the Glasshouse is no longer available to hire for parties, as I just heard today. Hello – does the Glasshouse take long term hire bookings? Thanks for the query Emily, I passed it on and you should get information soon. Hi I am keen to enquire about hiring the hall for a baby birthday party. Hi, I belief it is not possible to hire the hall for parties. But I shall forward your e-mail to the Glasshouse team and if there is a facility for baby birthday parties they will get back to you.